Eight years ago, Brittan Brilly found her calling. Ironically, it was because she couldn’t find a dress. The Boston business owner was shopping for a bridesmaid’s dress for her friend’s wedding and was tasked with trying on a few of the handpicked styles the bride selected from her local Bella Bridesmaids location—in Chicago. 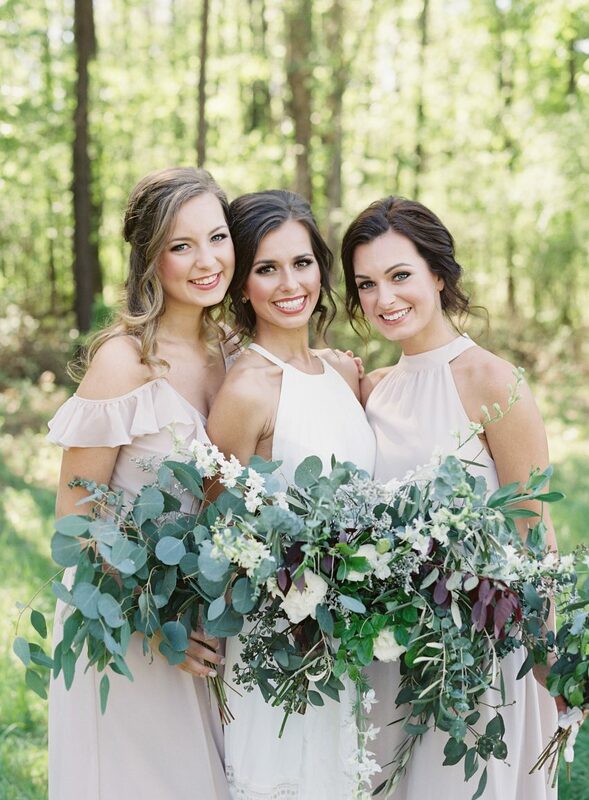 Knowing that the boutique retailer hosted locations through most cities nationwide, the bride suggested her bridesmaids stop into their local shop to test her picks. At the time, there was no Bella Bridesmaids franchise in Boston. So Brilly got to work. “[Bella] was advertising that a Boston franchise was available for sale and within six months, I had opened up the Bella Bridesmaids on Newbury Street,” she says. Nearly a decade later, Brilly and Bella are turning a corner. In addition to their 50-plus brick-and-mortar showrooms across the country, the bridal outfitter launched their virtual showroom on July 31. The first of its kind, the feature aims to bring the showroom experience into the virtual marketplace. Bridesmaids from outside the Boston area can visit any of their local Bella showrooms for a complimentary fitting to get measured and sized, while still being able to order through the virtual showroom with the rest of the bridal party. 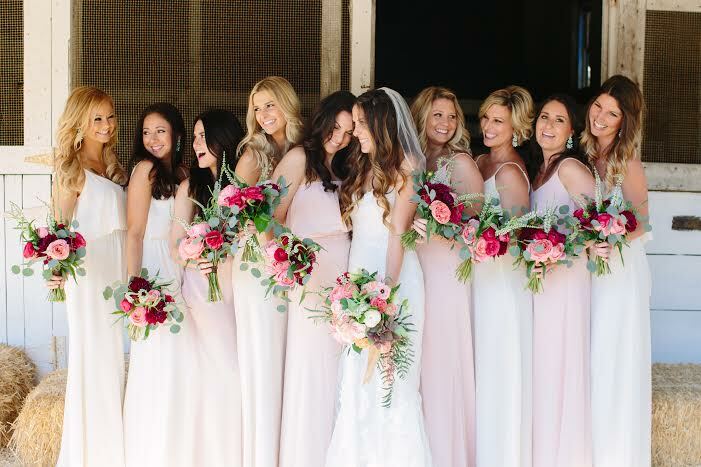 Now all bridesmaids, no matter their locale, can feel connected and involved in the process. We poked around the platform to see what the future of bridal planning really looks like, and spoke with Brilly to learn the tips and tricks of building the perfect shopping experience – online and in-store. First, a bride and one to three of her bridesmaids attend the initial in-shop appointment. It is here that the small group will work directly with a stylist to determine the colors, cuts, styles, and shapes they’re looking for. “Typically, they will have selected some of their favorites, whether it’s a designer or color, or something like that,” Brilly explains. Next, the stylist will work with the crew to put together a curated virtual showroom, inviting the bridesmaids who couldn’t make it to the in-store appointment to weigh in on the options. Essentially, everything the bride saw in the store can be seen online in one place and can then be up-voted and decided on by all parties. What does the virtual showroom look like? A lot like the real thing. To start, the bride can share inspirational Pinterest boards, wedding dress and venue imagery, and any information that’s pertinent to the decision. To keep everyone on the same page, the showroom keeps track of important dates, clocking in how many days you have to select a dress and order it before the big day. The gallery serves as a photo spread, with slides that highlight the essential info on each dress. You’ll find the designer, color options, pricing, and dress details to the right side of the image. Below, there is a virtual comments section that allows the bride and bridesmaids to discuss what they love (or hate) about each style. “You can converse with each other about the different styles, then vote and decide which one are the favorites,” Brilly says. And don’t worry, stylists can’t see the comments, so feel free to be as honest as possible about the choices. Once the votes are in, orders can be made directly from the portal—although Brilly suggests going into one of Bella’s 50-plus nationwide locations for a fitting before hitting the “buy” button. While most Bella Bridesmaids dresses comes in size 0-24 and can be ordered through the web, a real life stylist can help provide expert feedback and measurements for your body type. Why is the online element so important? 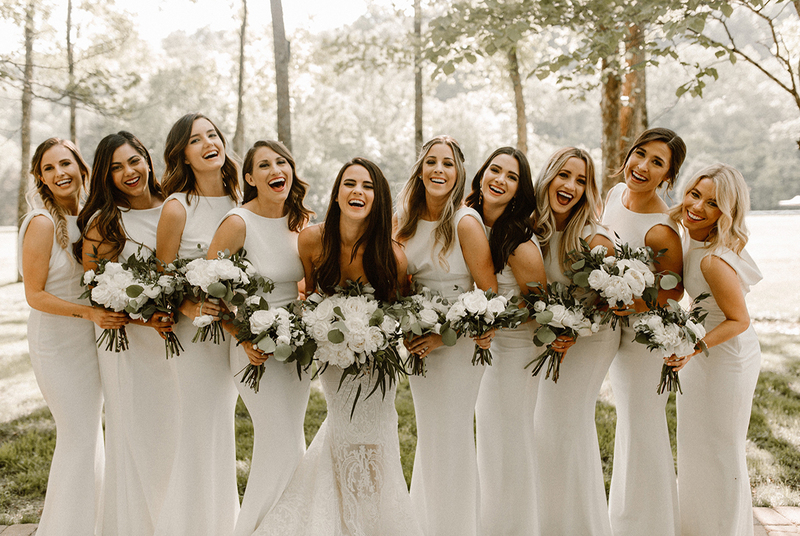 While in the past, bridal parties were subject to clunky back-and-forth email and text threads on the matter of group dress, Bella is looking to modernize that experience without jeopardizing the collaborative element. For your bridal shopping needs, visit Bella Bridesmaids at 715 Boylston Street, 4th floor, Boston, MA 02116, or online at bellabridesmaids.com.